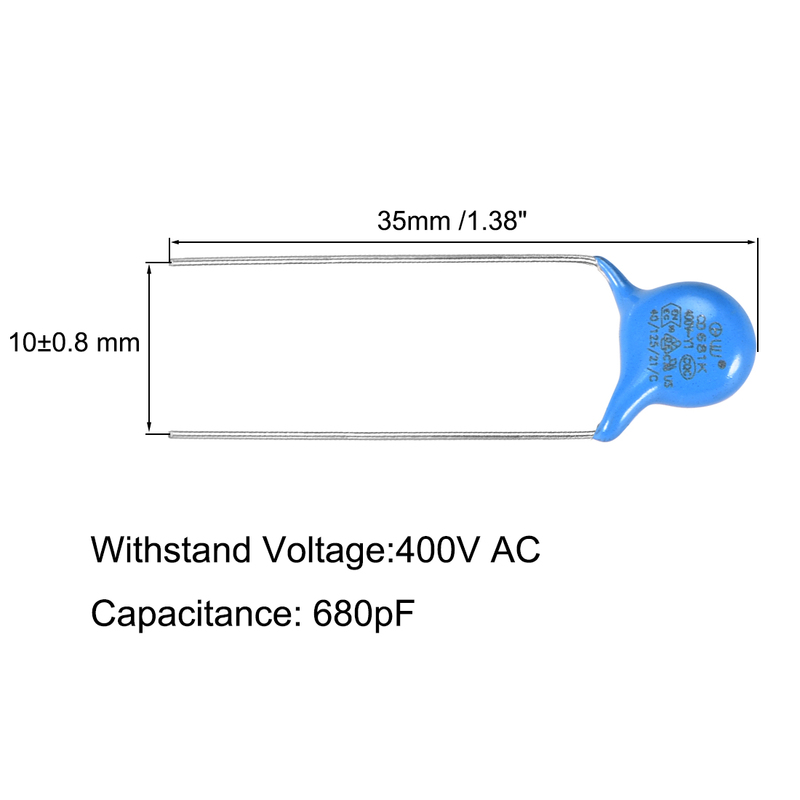 Y1 Series capacitor features dip mounting type and compact size. Coated with epoxy resin. Y1 capacitor has the function of reinforced insulation. Low frequency loss, and durable for use. Ceramic disc capacitor is specifically designed for AC applications and meet the requirements of various standard agencies. It can also be used in antenna coupling crossover and bypass circuits for power circuit noise suppression circuits for electronic equipment. Widely used for security equipment, smart home, household appliances and lighting electronics.